Whether you're an accounting or non-accounting major, a fall or spring start, or a domestic or international student, William & Mary's Master of Accounting program affords you the flexibility to reach your academic and professional goals. 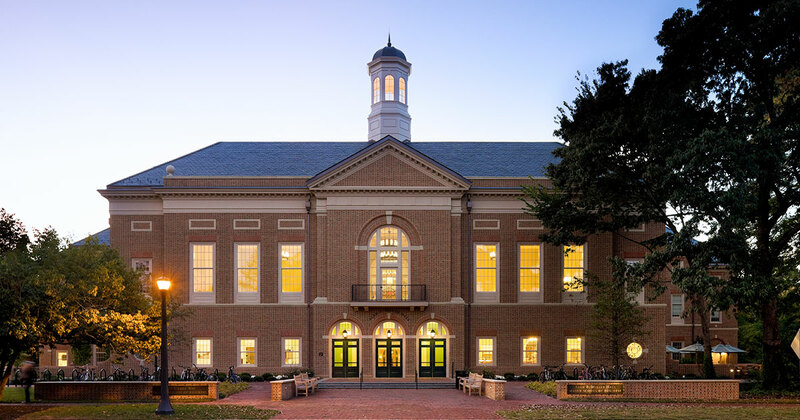 Students choose William & Mary's Master of Accounting program for our combination of technical skill development, world-class faculty, and team-oriented style of learning. But we know that the ultimate goal of any student in the MAcc program is to launch a meaningful career. That's why we start working with you as soon as you commit to joining our Tribe. In addition to fulfilling six of the seven prerequisites, Boot Camp students get a chance to mingle with our recruitment partners. The Graduate Career Management Center will also begin working with you on your resume and advise you on how to leverage the William & Mary network as you begin your job search. Orientation gives you three days of networking and recruiting events that put you in direct touch with recruiters from all the major and regional accounting and consulting firms. It also gives you a chance to start building your personal brand. You will bond with your teammates, get lessons in how to navigate events ranging from cocktail parties to sit-down dinners, and refine your skills with mock interviews at a special "Speed Networking" event. The flexible format of our program affords students who desire to sit for parts of the CPA exam while they are in the program to do so. The spring semester is an ideal time for you to thoughtfully select the electives in your area of emphasis while mindfully incorporating your study and test-taking plan into your daily routine. The DC Trek in the early fall is an optional experiential learning opportunity for students to explore the financial markets and regulatory agencies in Washington, DC. You will gain insight into how the intersection of business and government affects the accounting industry by visiting with experts in the field at organizations like the Department of Treasury, the PCAOB and the SEC. Students who choose the Experiential Emphasis are able to earn full-time, paid internships through the Integrated Winter Field Experience. How better to dive in to the real world of Accounting than during the busiest time of year for accountants - January through March.